As your experienced and dedicated lending professional, it is my duty and responsibility to ensure you fully understand the home financing options available to you. Whether you are purchasing your dream home, refinancing or consolidating debt, I will present all your available loan options based on your financial situation, so we can meet your home financing goals with the right loan program at a competitive interest rate. A home is the largest purchase most people make in their lives. Let's make sure we do it the right way! One of the most professional loan officers I've dealt with. Very organized and communicative. Explains the mortgage process very clearly and make sure his client has a smooth and pleasant transaction. He really goes out of his way to make the process as painless as possible. His dedication and hard work are high appreciated. Really pleasure to work with! Highly recommended! Eitan is so knowledgeable! I wanted to look at my options as far as refinancing, or using home equity on my home. He was so patient as I took the time to wrap my head around how each option would affect my monthly payments. He had my best interest as priority. Highly recommend him for anything mortgage related! 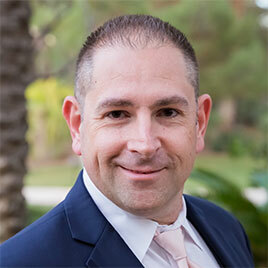 Eitan is just the best mortgage broker, he walks with you during and after your loan process, he is very knowledgeable. Anyone who decides having Eitan for a mortgage broker will get the best service. Eitan Took all the stress out of my purchase. He's easy to work with and very professional. I will definitely be using him again in the future and would highly recommend him. I wouldn't go anywhere else for a loan, or a refinance. Eitan has reasonable rates and closes loans fast. I've been using him for a decade and will continue to use him in the future. Easy to work with, searching for all available options & thinking "Out of the box" to find the right deal for you. Bought the house last year with Eitan fast, without extra paperwork. Been with him for years (I'm an investor). Smooth, easy transactions. He's very knowledgable, professional, knows all the ins and outs of loans. Sierra Pacific Mortgage Services, Inc., Licensed in Arizona under License No. 0905006. Licensed in California by the Department of Business Oversight under the Residential Mortgage Lending Act 417-0015. Licensed in Nevada 3268. We provide mortgage lending and brokering services. Not Licensed in the State of New York.